San Francisco has “seven hills,” depending how you count. 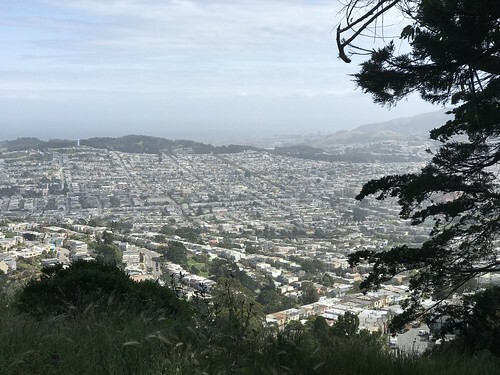 Before I’ve written about hiking up Mount Sutro, Twin Peaks, and Bernal Heights. Yesterday I finally got around to hiking around Mount Davidson, the tallest of all the hills. 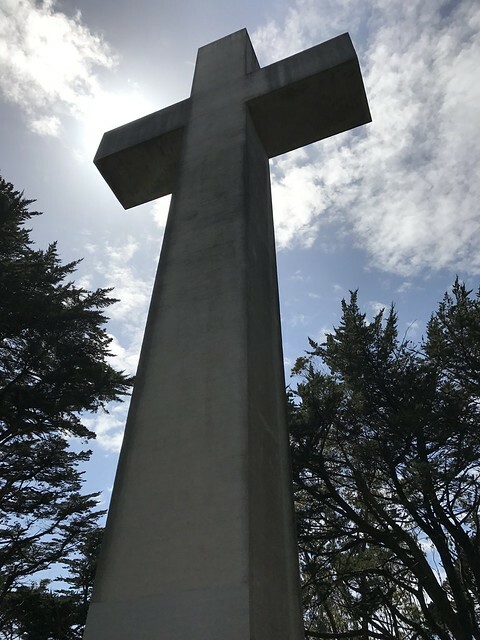 Back when I lived in the Parkside neighborhood in the mid 2000′s, I remember occasionally seeing this giant concrete cross on a hillside and wondering what the deal was with that. Of course, most of the time it’s so foggy on the west side of the city that you can’t see it, so I rarely gave it much thought. Then a while back I was re-watching Dirty Harry which features a sequence where Clint Eastwood’s character has to deliver a ransom. 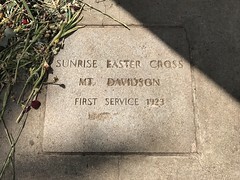 He winds up all over the city, including Forest Hill Station and finally makes his way to the cross on Mount Davidson. 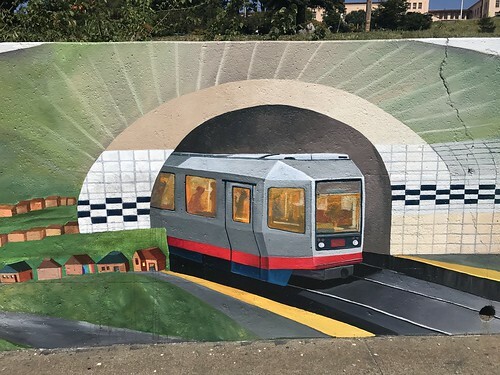 Although he’s forced to make a bunch of random stops in between, in real life Mount Davidson is only about a 30 minute walk from Forest Hill Station, or a ten minute bus ride on the 36. Something to keep that in mind if you’re not delivering a ransom payment to a crazy killer. Anyway, back to the real world: yesterday I managed to take the elusive City Guides tour of Mount Davidson. Elusive because it’s only offered twice a year. And even then, only when the weather is good. 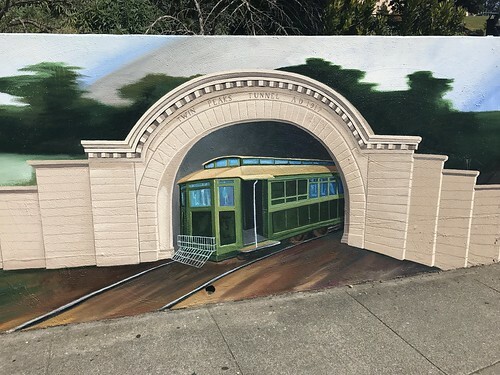 If you’re interested in the tour but your schedule doesn’t line up, the tour guide also runs a website about Mount Davidson with information about the park. 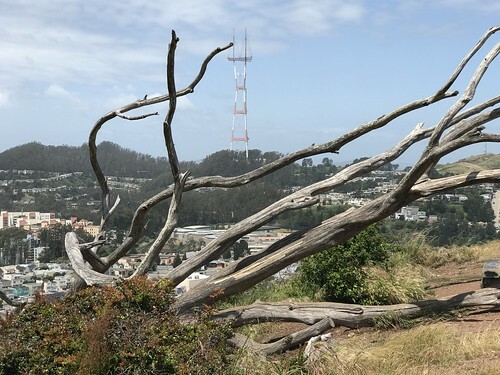 Interestingly, not many people seem to know about Mount Davidson, despite the sweeping panoramic views. It’s a little harder to get to than Twin Peaks. The park attracts dog walkers and bird watchers — I spotted a pair of hawks and a bluebird without paying much attention. So what’s up with that giant cross, anyway? It turns out a church group used to build temporary big wooden crosses up there every year for Easter. At some point they decided to build a permanent one. This caused a first amendment issue when the park became public, city owned land. As with ten commandment issues at courthouses, you either can’t have them, or you have to allow anyone else to put their religious statues nearby. 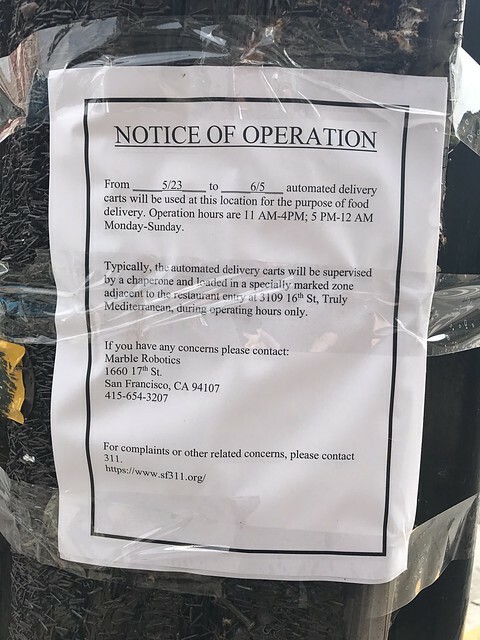 While it would have been funny to see a 100 foot tall statue of L. Ron Hubbard next to the cross, the city’s voters decided to sell off the land under the cross to a group of private citizens in order to avoid the issue. This is explained in signs all around that part of the park. On a clear day, the views are amazing. The towers downtown look like tiny from so far away, but you have a view of Sutro Tower, Twin Peaks, and a partial view of Bernal Heights. 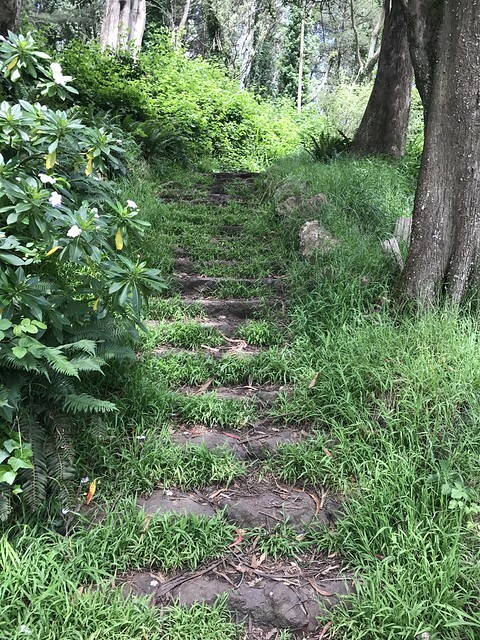 There are trails and stairways leading up and around the park. None are particularly well marked or maintained. Many don’t seem officially sanctioned. If you decide to go on your own, I’d recommend just wandering down whatever paths you like. The park isn’t big enough to get lost. 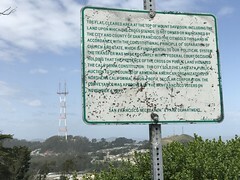 Finally, here’s a panorama from the east side of Mount Davidson’s peak. Click through for the full size version. You are currently browsing the MrEricSir.com blog archives for May, 2017.